The Imperial Sword was made for Emperor Otto IV in the twelfth century, possibly for his coronation as King of the Romans in 1198. The crossguard on one side bears the Middle Latin inscription CHRISTVS : VINCIT : CHRISTVS : REIGNAT : CHRISTVS : INPERAT (Christ triumphs, Christ reigns, Christ rules).On the reverse side, the shorter variant CHRISTVS : VINCIT : CHRISTVS : REINAT. 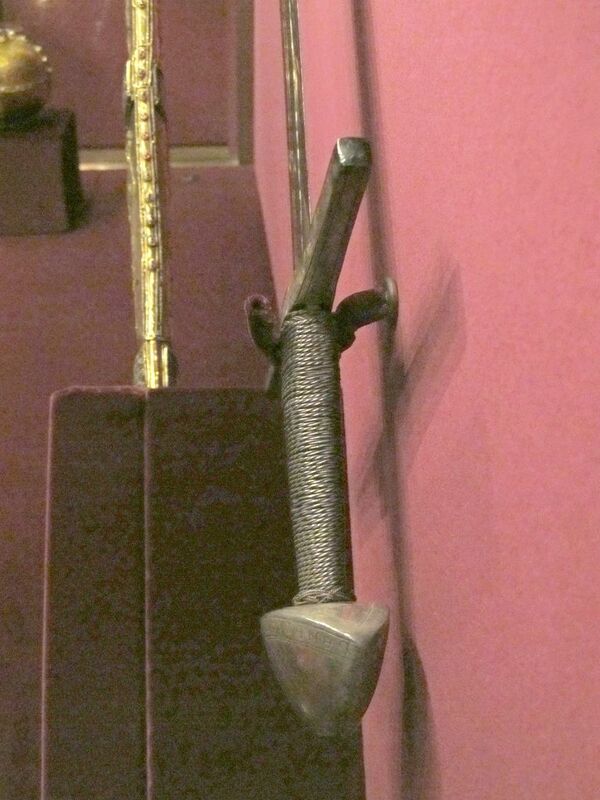 The pommel is engraved with the arms of Holy Roman Emperor Otto IV, who reigned from 1209 to 1215. The lower edge of the pommel is inscribed with BENEDICTVS · DO[minv]S DE[v]S QVI DOCET MANV(s)+ viz (Blessed be the Lord my God, who teaches the hand [to wield]). This is an abbreviated form of Psalm 144:1, Benedictus Dominus Deus meus, qui docet manus meas ad prælium, et digitos meos ad bellum (Blessed be the LORD my strength, which teacheth my hands to war, and my fingers to fight). 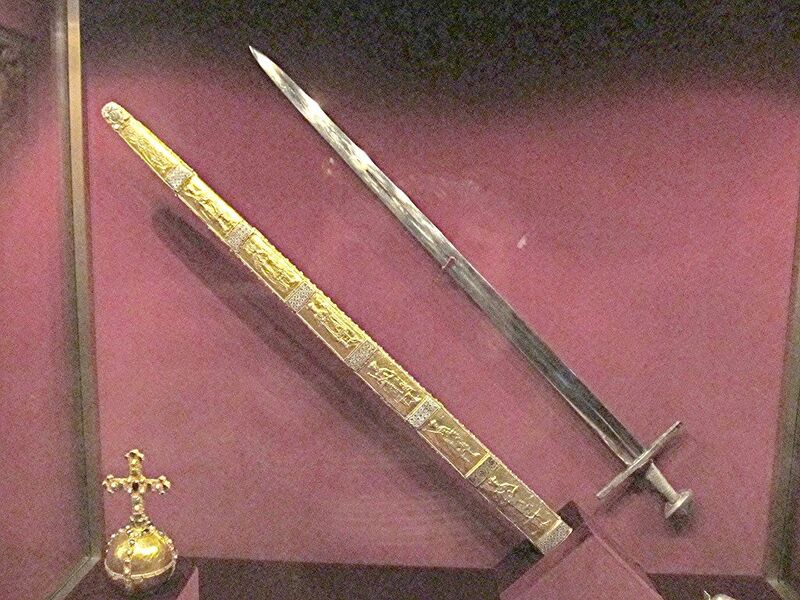 The scabbard of the sword is adorned with 14 gold plates engraved with depictions of monarchs. These pictures date to the eleventh century, and are thus about a century older than the sword itself. The figures have been identified as depicting the consecutive German monarchs from Charlemagne to Henry III, who was crowned in 1046. Overall length of 110 cm (43.3 in) with the length of the blade being 95.3 cm (37.5 in).